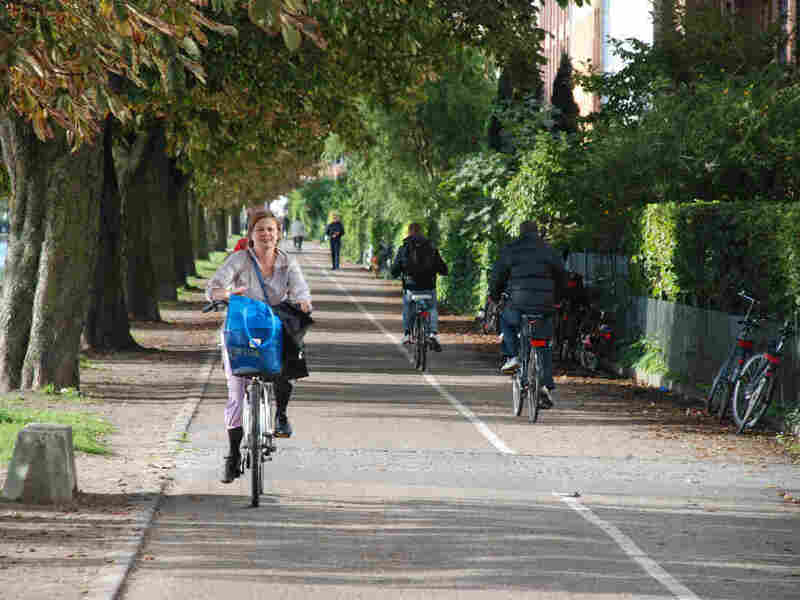 In Bike-Friendly Copenhagen, Highways For Cyclists Bikers are everywhere in Copenhagen. And now the city is building new, high-speed routes into the city that will make it easier to commute, even from the distant suburbs. 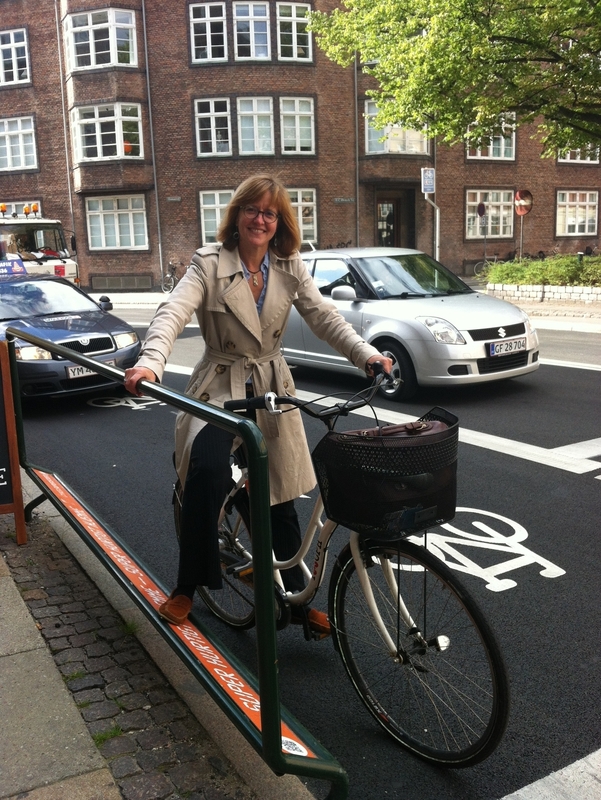 NPR reporter Eleanor Beardsley rides in one of the new bike lanes in Copenhagen. The city is building more than two dozen lanes from the suburbs into the city. They cater to cyclists by including such things as rails and footrests at stoplights.